Vietnam reaches Asian Cup quarter-finals Sunday. January. 22, 2019 07:44. by Seung-Kun Lee why@donga.com. Vietnam (100th in FIFA rankings) made it through to the quarter-finals of the AFC Asian Cup tournament in Dubai on Sunday, as they defeated Jordan (109th in FIFA rankings) in a penalty shootout. Though ranked lower than Vietnam, Jordan is a strong team that shocked the world by beating Australia (41st in FIFA rankings) 1-0 in the first B group match, and had recorded no loss (seven points, two wins and one draw) until the latest match. The team was especially good at defense, not letting their opponents score a single goal in three games. Meanwhile, Vietnam was in the third place of D group with three points (one win and two losses), and was able to squeak through the last 16 by virtue of having a superior disciplinary record to Lebanon. This marked the first time that the country reached the Asian Cup quarter-finals since 2007. Back then, 16 countries joined the event, and the quarter-finals were also done in a tournament. Vietnam finished second in B group (four points, one win, one draw, and one loss), following Japan, but was defeated by Iraq 0-2. Thus, Sunday’s match gave Vietnam the first Asian Cup tournament victory. Led by head coach Park Hang-seo, Vietnam’s national football team has lately shown astonishing performances at international matches including the U23 Asian Championship last January, the Asian Games in August, and the AFF Suzuki Cup in December, electrifying the entire nation and fans. According to local media outlets, the atmosphere back home on Sunday started much calmer compared to the day when the final game of the Suzuki Cup was held, probably because people had lowered expectations for victory. Yet, with the Vietnamese team equalizing six minutes into the second half, people started to pour out onto the streets. 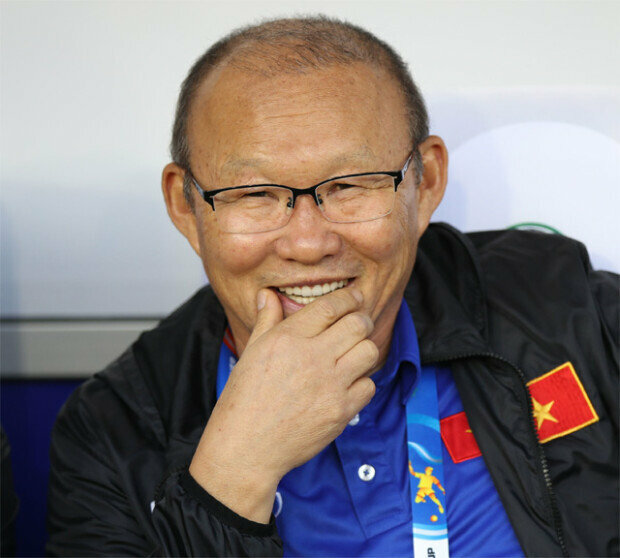 Vietnamese Prime Minister Nguyen Xuan Phuc, who congratulated head coach Park at a podium when the team won the Suzuki Cup, said that their will and passion were beautiful, according to media reports. “We won a fight against ourselves,” Park also said. Vietnam Express reported that the Vietnamese government pledged to provide one billion dong (approximately 48.6 million won) as a reward after the national football team won Sunday’s game.